An unforgettable eco-experience... Situated 34km Northwest of Brits, in the Northwest Province, this unique resort offers an unforgettable eco experience. 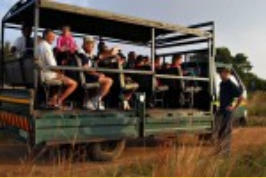 The peaceful South African bushveld provides the ideal backdrop to numerous attractions, activities and events. Dikhololo compromises of a number of separate camps, most with their own swimming pools and are generally clustered around rocky ridges. The self catering units have their own braai facilities and Dikhololo also has an extensive main complex which includes a restaurant and ladies bar. Some of our main attractions include a supertube & heated swimming pool as well as five tennis courts and two squash courts. The Dikhololo Game Reserve provides nature lovers close-up experiences with Giraffe, Eland, Blue Wildebeest, Red Hartebeest, Kudu, Impala, Zebra and many more. 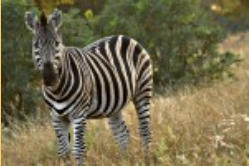 Abundant Antelope, Giraffe and Zebra roam freely across 450 hectares of wide open spaces. From sunrise to sunset you'll be amazed by the animal, bird and insect species that exist in perfect harmony. When night falls, the starlit sky and a peaceful campfire are completemted by the nightlife sounds of the bushveld. Daily game drives offer visitors close-up experiences with Giraffe, Eland, Blue Wildebeest, Red Hartebeest, Kudu, Impala, Zebra and many more. Explore the game reserve from the comfort of an open game drive vehicle which departs for an hour or two in the mornings, late afternoons and evenings. Our experienced field guides are only too happy to share their love of the bush by way of interesting and sometimes amusing anecdotes about the veld.